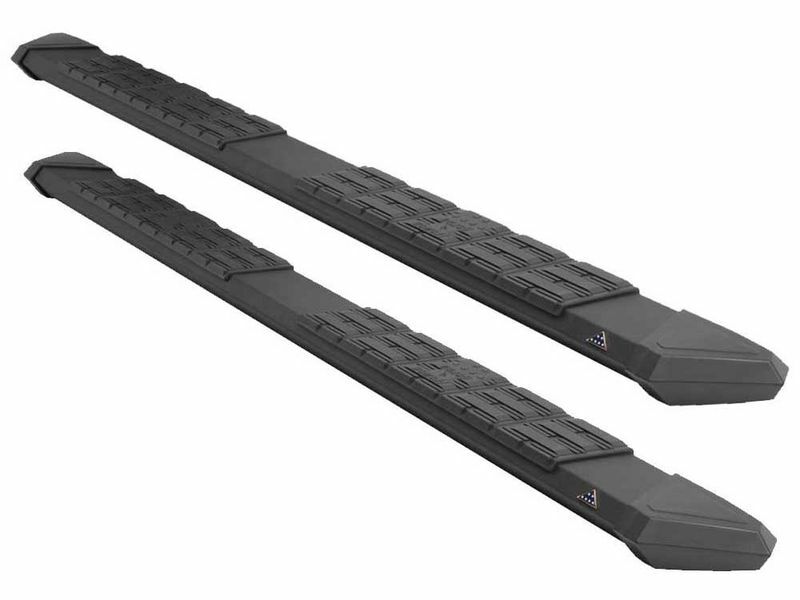 Patriot Running Boards have a unique stealth-like style that breaks away from the traditional look of the normal, everyday running board. With each set of Iron Cross Patriot Running Boards sold, a portion of the proceeds goes towards funding scholarships for military families. The Patriot has a wide 5" step surface with a grippy step pad to keep your footing secure when getting in and out of the vehicle. The Iron Cross Patriot Black Running Boards are constructed out of black powder coated heavy gauge steel and are proudly made in the USA.